The Nitecore Q2 is a new revolutionary 2A Quick Charger for IMR batteries with 2-slots and a 2000mA max output current. It charges 2 Li-ion batteries independently and is up to 1000mA in a single slot. Together with an active current distribution, automatical battery status detection and multiple protections, this cute but powerful Q2 charger will bring you a safer and quicker charging experience for your batteries. Available in EURO plug and US plug. • You can buy Li-on Batteries from Buybest. 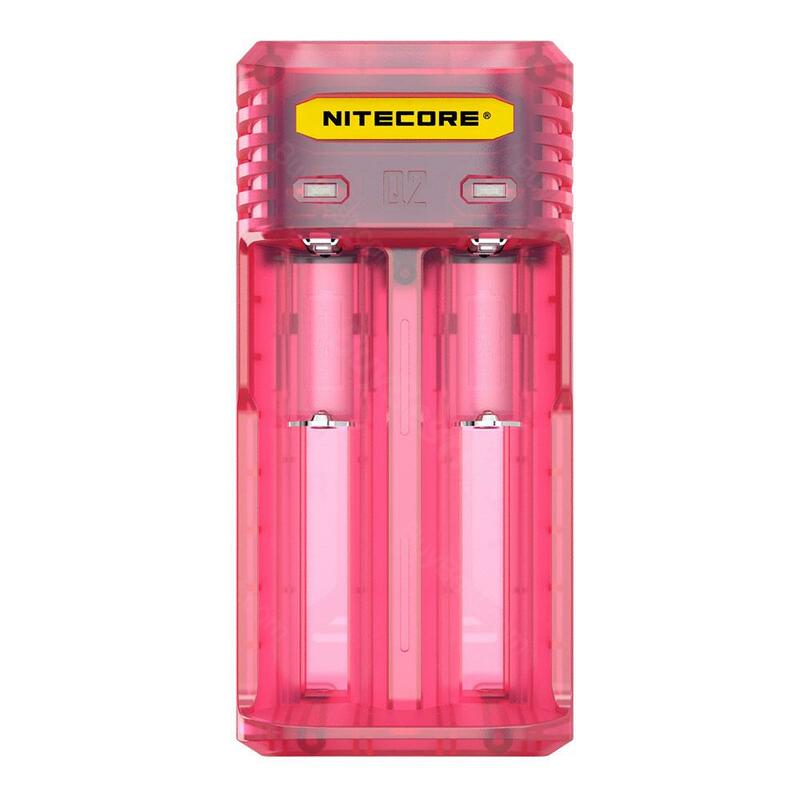 Nitecore Q2 2-Slot 2A Quick Li-battery Charger for IMR and Li-ion Rechargeable Batteries like 18650, 18350, and 16340 with charging output of 2000mA (2A) ensures that power is actively distributed between slots for faster charging. We have not yet tested the products but very fast shipping I HAVE EVER SEEN, 5 DAYS OF WORK to get WOW great job seller deserves the 5 star.